← The Nest Thermostat…..an amazing upgrade to Lake Tulloch Homes. 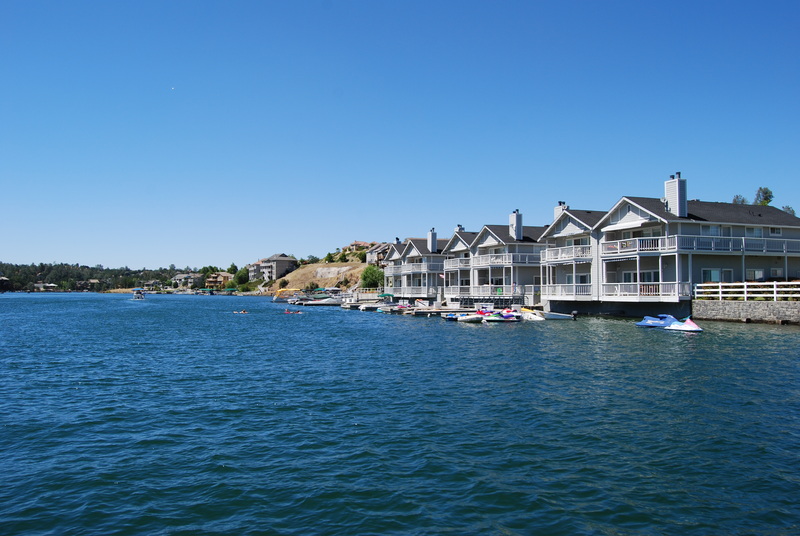 Waterfront Condo on the Shores of Lake Tulloch! Here are the top reasons why you should purchase a Connor Estates Waterfront Condo if you have been waiting for the "perfect home" at Tulloch. If you have never heard of Lake Tulloch, please visit Why Lake Tulloch? for more information. Reason #1 A condo is easy. You can come here and enjoy it. You can leave at a moments notice and stay until the last possible moment. I have had many clients over the years complain about the “set up” and “take down” times of some of the larger homes. Cleaning up decks/patios,opening blinds, putting out chair cushions, opening windows, can literally take hours upon arrival on some of the larger multi-level waterfront homes, only to have to repeat the process to “lock up” after the crowd leaves before you can head home. Reason #2 Location, Location, Location!!! The Connor Estates Condos are located across from currently undeveloped property on the north channel of the lake. The views are spectacular. Although, it is a condo, you have a sense of privacy because there are not 15 other homes across the cove from you. The upper unit condo is actually level from the parking area so there are no stairs to get into the unit. The lower units are just a flight down and almost at water level. The units are located just inside the 5 MPH zone so there is not a long boat ride to get to fast water. It is also a great and safe area to stand up paddleboard, swim and kayak without a ton of waves that you may experience on the open water. The units are also adjacent to the HOA launch ramp and boat storage yard so launching your boat and docking at your private slip is quick and easy (if you choose to take it out of the water). It is also a quick paddle or walk away from Drifters Marina which serves the best food on the lake. Most homes under a million are located in congested coves with minimal privacy, seasonal water (no water at dock during winter due to flood control), long rides to fast water and generally a lot of stairs. The condo has none of those issues. Reason #3 A condo is currently a great value. Unit #10 that I currently have listed is priced at $499,000. The two most recent sales that I participated in were sold at prices of $505,000 and $550,000, so this condo is ripe to sell. Compare the location, views and ease of this condo at $500k against any waterfront under $900,000 and you can’t touch it! Reason #4 A condo is available right now. This gets you off of the fence waiting for that “perfect home” that meets all of your dreams and into something where you can start enjoying the lake life NOW!!! So here is probably what you are thinking……..
Complaint #1 It’s too small! The condos are 3 bedroom, 2 bath and 1500 square feet. Sure, its not huge but it is a great size to entertain and enjoy with your guests. The kitchen, great room and lakeside deck are contiguous so it provides a large space for social gathering. It keeps everyone together which is generally the main goal of having a lake home. The size is probably comparable to an average Bay Area home. You may be concerned about it not being big enough for your guests. First of all, this should be about your enjoyment first. I have been a guest. The home is at THE LAKE !!!! If I had to sleep on a blowup bed from Costco, I would be content……I am at the Lake!!!! Complaint #2 The Condo Dues are too much! So lets think about this realistically. The dues are currently $400 a month. Right off the top, about $100 of that goes to the master association which is what you would have to pay regardless in most of the subdivisions (Connor, Peninsula, Lake Tulloch Shore, Calypso). So that leaves about $300 per month or $3600 a year that are specific to the condo. The condo dues include fire insurance so I think its safe to estimate that the insurance on a standard waterfront home will run at least $1200 or more. So that leaves you paying about $2400 a year or $200 a month now for maintenance. This maintenance includes all exterior maintenance including roof, paint, siding decks, docks, pathways, driveways, carports, security gates, etc. The maintenance also includes landscaping, which I have many clients that spend over $200 a month just for landscaping. In comparison, you will hopefully see that in the long run, compared to a normal waterfront home, the dues are cheap and best yet, YOU DONT HAVE TO LIFT A FINGER!! PURE ENJOYMENT AND RELAXATION!!! Complaint #3 It’s a condo. Sure, there seems to be a social stigma about condos regarding privacy and neighbor noise but, in most cases, this would not be your full time home. A majority of the 12 condo owners do not live there full time. I would say that on average, most Lake Tulloch second home owners use their homes 1-2 weekends per month during the summer. Other than the major holiday weekends such at Memorial, July 4th, and Labor Day, the odds are that your nearest neighbor may not be there. Historically, these condo units rarely came up for sale. 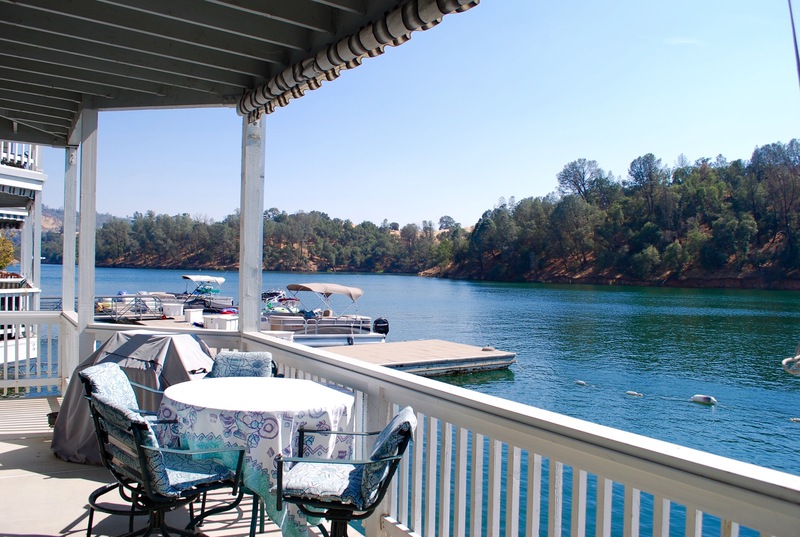 Now is the time to get off of the fence and start enjoying Lake Tulloch at its best!! Please contact me at (209) 840-1432 or visit www.LakeTullochWaterfronts.com if you have any questions! This entry was posted in General Real Estate Info, Lake Tulloch / Copperopolis Restaurants and tagged 95228, Aaron Stafford, Calaveras County, California, Copperopolis, Lake Homes, lake house, Lake Tulloch, Lake Tulloch Real Estate, Lakefront, lakes in California, real estate, Tulloch, waterfont, waterfront real estate. Bookmark the permalink.